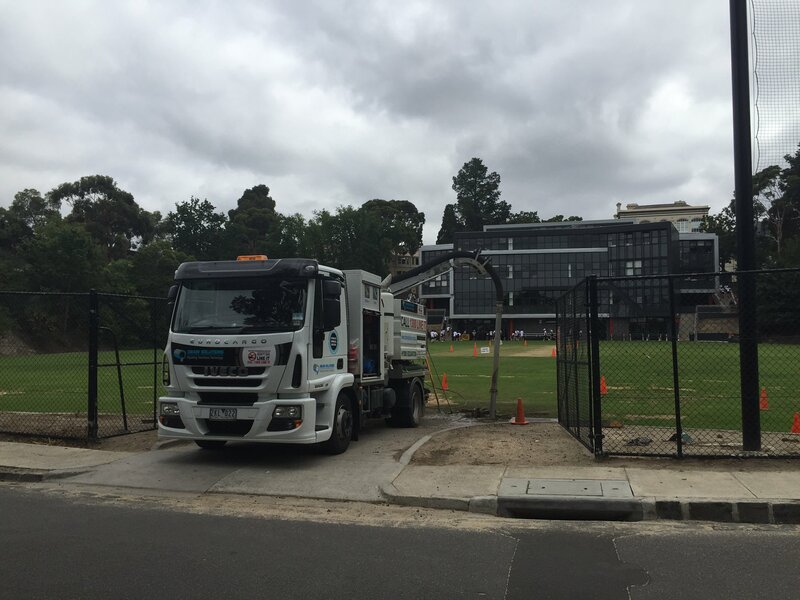 We were recently called out to Xavier College’s Burke Hall Campus in Kew, to use our Hydro Excavation Truck to locate and expose a water leak on the oval. It was believed the water leak was from the irrigation ring main running around the oval. 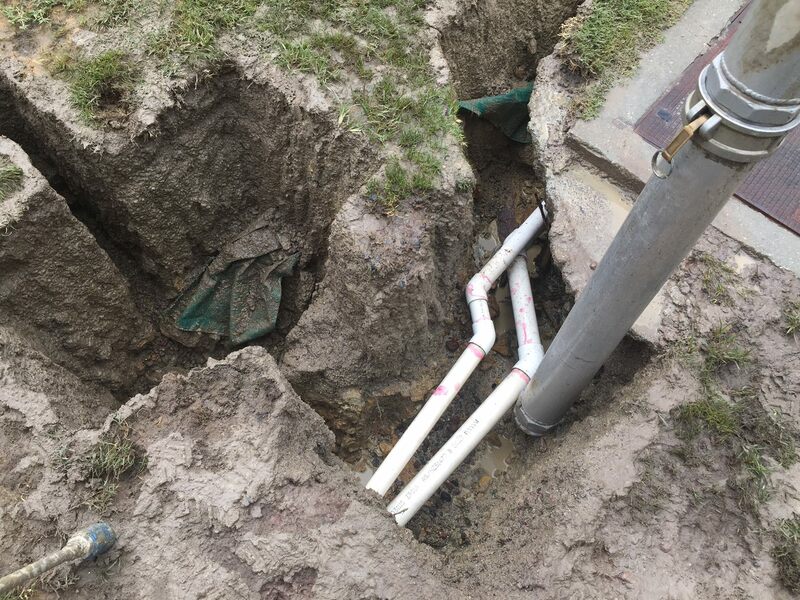 Normally we would use our Underground Utility Location equipment locate the leak first, however with water coming up through the ground on the oval, we knew the leak couldn’t be far away from this area. We started off using vacuum excavation by potholing in the vicinity of where the leak was noticed by the grounds staff and after expanding our hole slightly, we located the ring main in the ground. This section of PVC ring main had been modified to go around a pit that was installed at some point, and it appears one of the glue joints has let go and was weeping. The ground in the area was full of hard shale and clay, which makes digging by hand very hard to excavated. In fact one of the grounds staff had started to dig the area by hand prior to Drain Solutions being called and it was deemed too difficult due to the hard ground. Hand excavation would also be a risky process, as a large amount of force would need to be used in order to break the ground, and this increases the risk of damaging any underground utility services in the area. 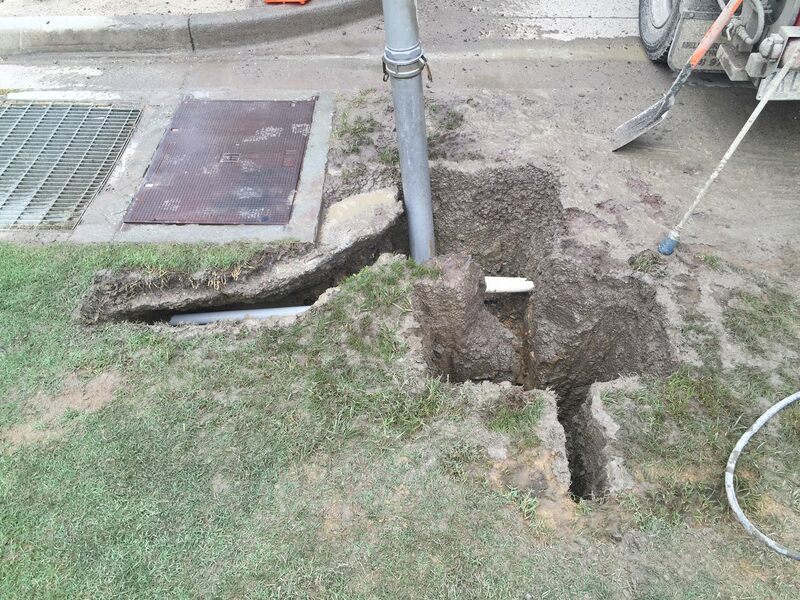 Using Hydro Excavation, we were able to expose the burst irrigation pipe in the ground for it to be repaired by Xavier College’s Plumbers, without the worry of damaging underground utilities, mitigating the chance of costly repairs.